As a healthcare provider, your patients are your first priority and managing the day-to-day operations can take away from patient needs. 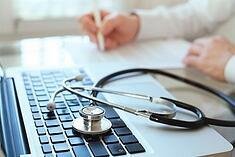 BKHM CPAs has provided medical practice accounting, tax and consulting services for 27 years. Whether you are looking at buying an existing practice, managing the organization's taxes or your personal tax situation, we can help you to do what you do best, take care of your patients. Our goal at BKHM is assist you in maximizing revenues, minimizing tax liabilities, and staying in compliance. To learn more about BKHM's services to the medical services industry, please contact us at 407.998.9000 or bkhm@bkhmcpa.com.